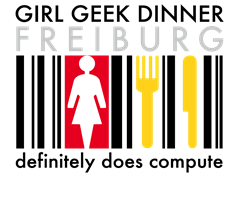 I am extremely excited to see the GGD Freiburg happening. Organizer Lisa Lang together with co-organizer Ines Ajara Pfannenschmidt are hosting the first GGD Freiburg on Wednesday Feb 16th at 6pm at Karma Bertoltstr.51-53, Freiburg. Girl Geek Dinner Freiburg #1 – the first dinner!